NINLARO is an oral, highly selective and reversible PI that targets key processes inside myeloma cells and the bone marrow microenvironment. 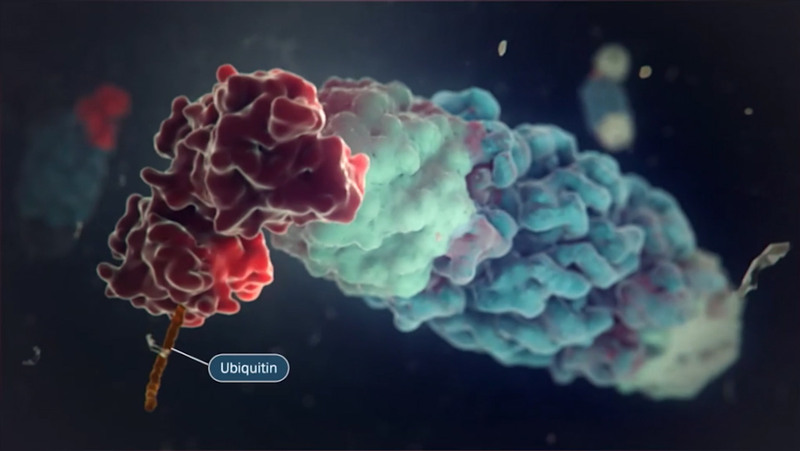 Proteasome inhibition remains a key mechanism of action in myeloma treatment.3, 4 This short animation explains the importance of proteasome inhibition and its effects inside myeloma cells and the bone marrow microenvironment that impact tumour cell growth and survival. Garcia-Gomez A, et al. Clin Cancer Res. 2014;20(6):1542-54. Chauhan D, et al. Clin Cancer Res. 2011;17:5311-2.